Stuck on an assignment? First, check the optional resources given with the assignment. Review the slides and recordings from lecture. If it's not urgent, bring your question to your lab section. Try our "Ask an 'A' Student Service"
Kelsey and Judy have agreed to keep your questions anonymous. They do not participate in grading. 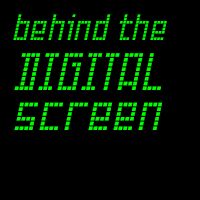 Instructors sometimes tweet material related to the class at @bDigitalScreen but (just like everyone else on twitter) they may not notice twitter DMs or @ mentions. If you want an answer, e-mail them. Note that CRAs do not hold office hours. Some students are interested in a place to work on class assignments and the final project where they will have someone on hand to assist them in case they get stuck. The consultants in the Design Labs (Rooms 1321 & 3360, Duderstadt Center) are generally familiar with many of the technologies covered by our final projects. These labs are staffed with consultants until 9pm M-Th, and 5pm Fridays. The manager of the labs has offered this as a resource to our class.